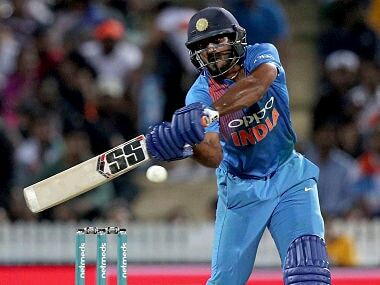 Sydney: Not playing a single international match for a considerable amount of time can impact any bowler's match rhythm and pacer Bhuvneshwar Kumar learnt it the hard way after being hit for 66 runs in the first ODI against Australia at Sydney. Asked if being out of competitive cricket for a month have an impact, he replied: "It (not playing regularly) did impact (my rhythm). Match rhythm is totally different when it comes to bowling. I was trying everything to be in rhythm in the nets. "But it can't be a 100 per cent when you compare to a match (situation). It wasn't great in the last match (in Sydney) but it wasn't bad as well. It can improve, as the matches will go on," he added. During the past one month, Bhuvneshwar was training hard to get into match rhythm. "I was trying everything to be in rhythm. In the nets, I wasn't planning or preparing to bowl in the ODIs. I was preparing like I have to play in any of the Tests. I was preparing in that manner. There wasn't anything specific that I could do. "But it was just normal bowling and increasing the number of overs. If I was bowling 4 overs (to start with), then go to 6, then 8, then 10. The key thing for me is to be niggle-free and be in bowling rhythm," the UP seamer said. Bhuvneshwar revealed that he wasn't 100 percent fit during the series but currently is niggle free. "See, I was fit but I couldn't say that I was a 100 per cent. Because in Test matches, it's a five-day game, so I really didn't know I would be able to go through that thing. What was good was we had bowlers who could play at that time and I got time to be 100 per cent fit again. I wasn't really sure that time," he said. "I was going through niggles at that time (in England) and when you have a niggle you can't be a 100 per cent, so that was during that period. Since then and now, I have trained a lot, especially during the one month of the Test series. I trained a lot. That is the reason I am back to 130-135 (pace). The main thing is I am niggle-free right now. That's the main thing for me," he said. 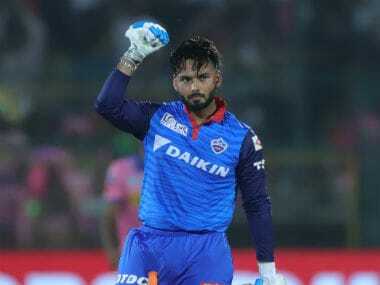 Kumar outlined that the team management is not worried about Ambati Rayudu's action being deemed suspect by the ICC. 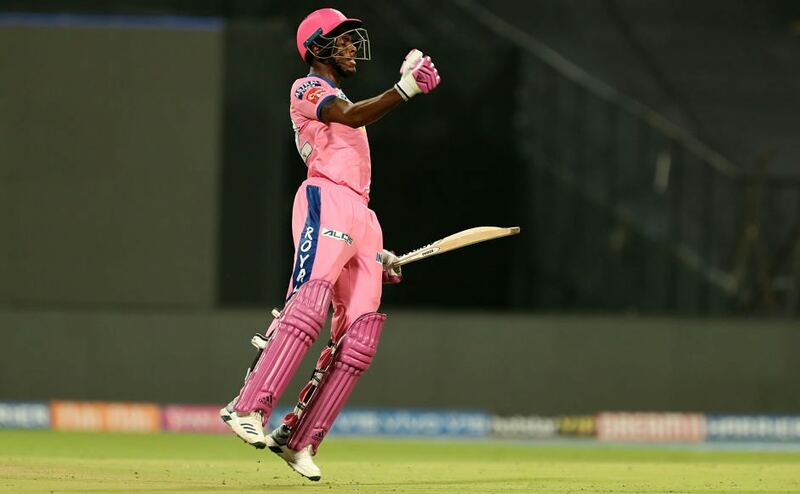 He further added that there has been no talk about MS Dhoni moving up the order, albeit he spoke about buffering the lower-order with Ravindra Jadeja's role considered that of an all-rounder in Hardik Pandya's absence. "It really doesn't matter where I want Dhoni to bat. It's what the management wants that matters the most. As far as he's concerned, he can bat anywhere from numbers one to ten. He's been doing that thing for the past few years. What is important is that wherever he has been asked to bat, he's been doing that pretty well," said Bhuvneshwar. 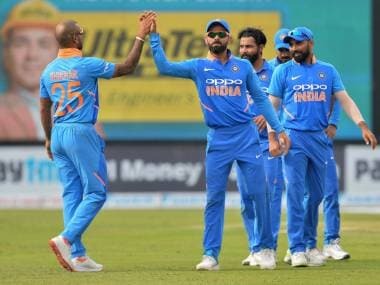 Jasprit Bumrah is India's resident yorker specialist but in absence of Gujarat speedster, the team management has entrusted his new ball partner Bhuvneshwar Kumar to fire in the toe-crushers at the Australian batsmen. 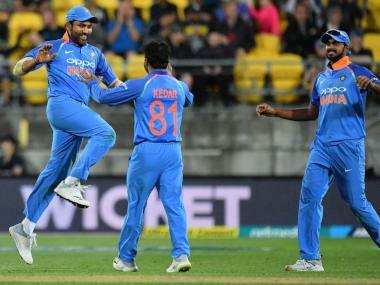 The UP seamer, who rarely bowls yorker like Bumrah, is trying to add the delivery in his repertoire in order to avoid getting hit in the slog overs. "The skills (required to bowl yorkers) are also different. I was practising bowling yorkers at the shoes, and I was practising for the end (slog) overs to take wickets or block some runs. 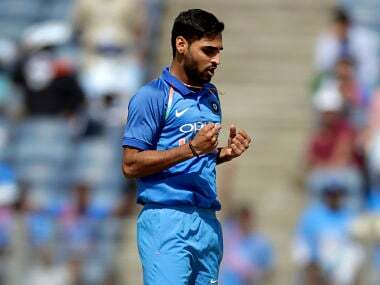 This (keeping shoes on the pitch) is something that I have been doing for some time," Bhuvneshwar told mediapersons on the eve of the second ODI. The seamer said that he wasn't practising yorkers as he wasn't playing Test matches and also because the delivery is rarely used in longest format. "I didn't practice that for almost a month now because in Tests, we hardly needed that. And I didn't play a match. Going into an ODI or T20I series, you need that (yorker) thing. So I was practising that," he said. 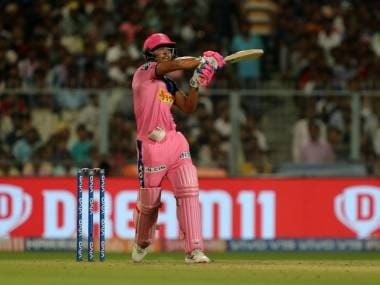 The yorker becomes all the more necessary in the death as blockhole deliveries or slower ones work with old balls (two new balls being used in ODIs). "The skills needed are totally different (with new and old balls). You are trying to swing the new-ball and take wickets. With the old ball, you are looking to bowl yorkers or slower balls. But they are both difficult. "When you are bowling with a new-ball, there are only two fielders outside the circle. With the old-ball, batsmen don't care how many guys are outside the circle.